Never a penalty. Olsen gets kicked in the face. The referee makes a mistake, and that’s ok. What is not ok is the Var system protocol. And how it is used. It’s disgusting the method of discretion applied by the officials. Two weights and two measures. An unfair system that has already favoured some clubs over others. Roma were dead right to complain but to explain another disappointing result we need to go further on. Roma still looking to become someone on the pitch. Too many players unreliable. If Chievo, Bologna and Spal are getting thrashed elsewhere by anyone means we have a serious problem. The same not seen in the Champions League. Meanwhile, Napoli, Inter, Milan and Lazio are convincingly winning and moving forward. We are losing ground big time. We need to wake up soon with a winning streak or might be too late to catch up for fourth place. Next stop Moscow. Then Sampdoria, who got stuffed at home by Torino by 4 goals. Now, it’s up to you Roma. When Juventus played recently Frosinone the media hailed their 2-0 win as swift and cynical. Ronaldo and co. only managing to break the deadlock in the last 15 minutes. Roma wins at Empoli in a similar fashion but it is now called suffering and regression. With Empoli showing to be a much more dangerous team than Frosinone. In essence, yes, Roma have not played great football, not as good as recent games at least. Empoli was given too much space and Roma weren’t as good. The penalty missed by Caputo was the negative turning point for Empoli, and Roma took full advantage to close the match in the same Juve would do in similar circumstances. So, we take the 3 points, and forward we go. Elsewhere, all other teams at the top won their respective games, so nothing changes at the top. Juve cruising comfortably, Napoli chasing, Inter with another lucky strike to score again in the end, Roma just back behind them. The international break is going to be good to recharge the batteries. Off we go. Next Roma v SPAL. Forza Roma. We continue on the same lines from the beginning of the season. Defense in the doldrums, midfield that runs little and badly, team that never moves the action, never a play in depth, forward nothing, with somany players not playing at all. And when you find the space we are mising easy chances. Then you concede the impossible to Bologna on the counterattack, a goal that you usually see in injury time. Then a confusing reaction, many crosses in the nothing to look for something or someone who is not there. We are looking for solutions, but in a hurry, Frosinone and Derby are now decisive, the train in front goes away and then find the solutions now is fundamental, for the better or for the worse. At this moment they are are all responsible, club, players and technician, even though Di Francesco is the one who is less guilty, but probably the one who could pay for other people’s mistakes if things do not have to adjust quickly. But enough to give alibis to the players, especially to the senators, who by playing like this do not help the new ones and the young ones to enter the frame. Enough excuses. Roma went ahead without Pjanic, Salah, Lamela, Rudiger, Benatia, Szcesny and company. And it will be like that too without Radja, Kevin and Alisson. You continue to play football. How the other teams do it. Now we’ll see if someone is just out of shape, listless or stand against a technician or club. We’ll see if it is so, because the coach has decided, will only play those who are motivated, out of those who do not lend themselves to sacrifice or those who pretend to play holders without having shown anything until now. You do not look at anyone anymore. Enough carrot, just stick now. Cengiz and Pellegrini out, Dzeko spared on the bench. We all craved for a great performance by Patrik Schick, but again it was not meant to be. Things went for the worse as Ninja Nainggolan walked away from the pitch injured. Barcelona at high risk. Not a great game by many today, we were expecting much more from Strootman, Schick, Gerson and co. Instead, the usual hiccups, missed chances, and Edin Dzeko to rescue a point in theory but other two points wasted in practice. Barcelona is now round the corner. No hiding. Cengiz and Pellegrini hopefully will be available, Nainggolan is 99% certainly out. Messi definitely to play instead. Pity. We all expect Barcelona to prevail easily, as some say maybe the tie will be over already after the match at the Nou Camp. In theory. In practice, there are 180 mins to be played. 11 vs 11. Team tactics: Roma can only hope to contain the Catalan forces and find something on the counter. Steal the ball and run. Nothing more than that. Barcelona will hold the game for most of the time, keeping and passing the ball around. Only tight defense and pressing in midfield can work for Roma. Defrel looked sharp when he came on as sub today, he could be the wild card, with Dzeko upfront, who knows. But then, Messi and co., who is going to stop them? A big good luck to the lads, hope to be able to play a great game, and keep the tie open for the second leg. As ever, always Forza Roma! A victory that could not be otherwise. Spal were brushed away, a determined but modest team, with a Roma team that immediately seemed wantin g to go to to close the match quickly and start thinking about Qarabag. In the field we saw Cengiz Under, then also the last 20 minutes for Schick, finally. And the return on the field after 6 months of Emerson Palmieri. The Roma finds again important players, even if not yet ready. Cengiz has given some good inputs, but we can see that he is still young with ample room for improvement. The highly anticipated Schick showed some play but is still in evident approximate condition, he also missed an easy goal too. We are convinced that this boy will be a good weapon in the second part of the championship. Emerson is back after the injury on the day of Totti farewell, will be very important change for Kolarov. The referee and the VAR were under the spotlight, for the first time in favour of Roma at the Olimpico, last man foul Dzeko and red card for the Spal player after 10 minutes of play. 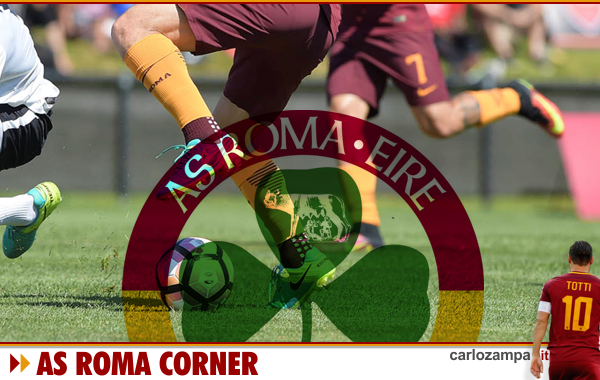 Roma had the stage set, easy with goals of Dzeko, Strootman and Pellegrini, and it could have been more. Then Manolas intervention that gives the penalty to Spal, scored with the former Giallorosso Viviani in the second attempt. Repeated penalty, Alisson saves but then ball in the net on the ricochet. The same Alisson is the main man of a risky backheel in the penalty area, succeeded with class. Better still, a great Florenzi gets on many Spal players on the wing with backheels and various pirouettes, just applauses. Great match also Lorenzo Pellegrini who scores a very nice goal. So, Roma returns to victory, Juventus shortens the standings winning the clash in Naples, waiting for the Inter result today. it is clear, there are 4 teams to challenge for the Scudetto, in the space of 4-5 points, with Roma with a match in hand. An open contest, in short. Too bad for the two points lost in Genoa … Soon the clash in Turin before Christmas. Meanwhile, there is a very important Champions League match on Tuesday, Qarabag arrives at the Stadio Olimpico, they have already taken two points away from Atletico, to the advantage of Roma. We do not underestimate them and we do not waste the opportunity to progress! Daje Roma!